A new trailer for series 11 of "Doctor Who" shares some "new faces, new worlds, and new times". 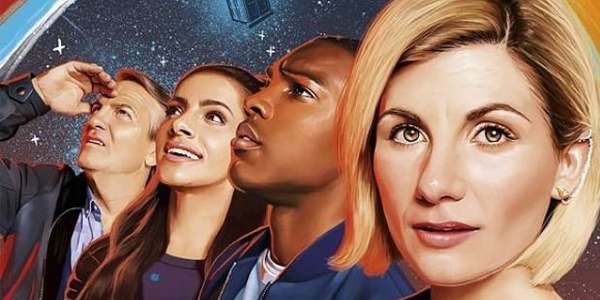 BBC's Doctor Who panel, which featured the first female lead Jodie Whittaker and showrunner Chris Chiball, began at 2:45 p.m. Eastern and included the debut of a new trailer. It's a short trailer but shows some new shots of the 13th Doctor (Jodie Whittaker) along with her new "companions" Graham O'Brien (Bradley Walsh), Yasmin Khan (Mandip Gill) and Ryan Sinclair (Tosin Cole). "All of this is new to me," the new Doctor says. "New faces, new worlds, new times. So if I asked really, really nicely, would you be my new best friends?" Doctor Who is the long-running science fiction show about an alien from Gallifrey, known as the "Doctor", who travels in a time machine throughout time and space saving the universe. There's also a shot of The Doctor's new Sonic Screwdriver, the "ex machina" device that allows the Time-Lord to do anything from analyzing objects to opening locks. The feel of the show is bright, full of energy and thrills. "Right? This is gonna be fun!" the Doctor says at the end of the trailer. So far the answer is yes. What do you think of the new look at series 11 of "Doctor Who"?